Should Microsoft Corporation Be Concerned With the Worst PC Sales In 8 Years? Another decline in PC sales in 2015 didn’t come as much of a surprise: It’s been an ongoing theme for the past several years. What is surprising was the rate of decline in the PC market last year, and the ramifications for once PC-dependent tech kings including Microsoft (NASDAQ:MSFT) and Intel (NASDAQ:INTC). Both Microsoft’s and Intel’s CEOs are well aware of the declining PC market, which explains why both are implementing their own versions of a mobile-first, cloud-first transformation.. But do declining PC sales really matter? And if so, how much? 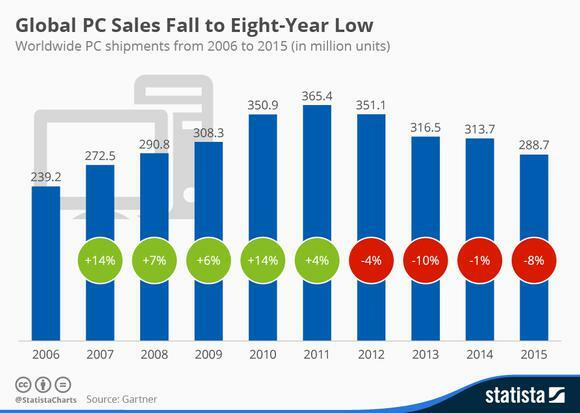 Investors need to harken back to 2011 to find the last year of PC sales growth. The PC market grew 4% in 2011, to more than 365 million units. But since then, four straight years of sales declines-topped off by 2015’s 8% drop-have left the market in tatters. To put last year’s PC woes into perspective, it was the lowest number of global PC shipments since 2007. Currency headwinds played a part, particularly in emerging markets. However tablets were the primary culprit, and consumers using smartphones as all-in-one personal computing devices also played a role. The drop in PC sales affected Microsoft last quarter, as its More Personal Computing division, home of its Windows OEM sales, reported a 17% drop in revenue.. Windows sales dropped 6% last quarter, and with earnings scheduled for Jan. 28, investors can expect more of the same. One of the few upsides to Microsoft’s last quarter as it relates to PCs is that the drop in Windows revenue of “just” 6% was actually better than the overall desktop market. The personal-computing business also took a hit from Microsoft’s failing smartphone hardware sales, which saw a precipitous 54% drop in revenue year-over-year. Intel can certainly relate to the impact the lowest PC sales in eight years has had on Microsoft following its own fiscal 2015 Q4 and annual earnings. Intel CEO Brian Krzanich’s transitional efforts were responsible for overcoming much of Intel’s 8% drop in PC-related revenue. The shift away from desktop sales is exactly why last year’s eight-year low should play little-to-no part in either Microsoft’s or Intel’s fortunes going forward. CEO Satya Nadella’s cloud-first pillar of his two-pronged initiative is paying off handsomely for Microsoft and its shareholders through a boost to its revenue from cloud-based services. Microsoft stock has been under pressure this year, but that has as much to with the recent broad-market sell-off as it does with poor 2015 PC sales. Better still, Microsoft’s cloud-revenue growth should continue throughout 2016, particularly thanks to Nadella’s decision to focus on Software-as-a-Service (SaaS) delivered via the cloud. SaaS is expected to be one of the fastest-growing areas within the cloud-computing market, and with its industry-leading software product suite, no one is better positioned than Microsoft. Intel has taken another approach to increasing its presence in the cloud, and it, too, is reporting impressive results. Along with the Internet of Things (IoT) division, Intel’s cloud-specific data-center sales is quickly becoming its most important division to drive growth. For the year, Intel’s data-center unit reported $16 billion in revenue, an 11% improvement compared to 2014, and equal to nearly half its PC-related sales. The bottom line: Microsoft, like Intel, is not tethered to PC sales any longer. And even the worst PC sales results in eight years doesn’t change Microsoft’s status as one of the best growth and income investments in tech. *”Look Who’s on Top Now” appeared in The Wall Street Journal which references Hulbert’s rankings of the best performing stock picking newsletters over a 5-year period from 2008-2013. The above article originally appeared on The Motley Fool, written by Tim Brugger. Tim Brugger has no position in any stocks mentioned. The Motley Fool recommends Intel. 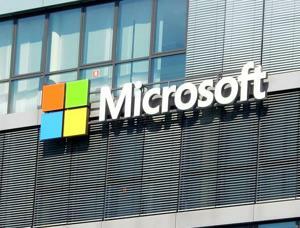 Microsoft’s $1 billion donation, over three years, includes software as well as cloud services. The donation will tie thousands of thought leaders to the company’s software offerings. It’s a good move that highlights just how much excess cloud capacity is out there. Microsoft (NASDAQ:MSFT) made headlines this week by saying it will donate $1 billion in cloud computing services to non-profits. It’s a good thing to do, but it highlights just how much excess cloud computing capacity exists. Ever since Amazon.Com (NASDAQ:AMZN) began reselling cloud capacity based on technologies originally pioneered by Alphabet (NASDAQ:GOOG) (NASDAQ:GOOGL) and Yahoo (NASDAQ:YHOO), companies offering the new infrastructure have had to invest well ahead of demand. That’s why Amazon dominates the market, alongside Google and Microsoft itself. These companies have internal demands for cloud that help justify the huge capital expense – as much as $1/quarter – the technology demands. The result has been a revolution but, for most, a revolution without profit. Major players, again led by Amazon, have gone through repeated price cuts, with prices starting at free, in order to squeeze out competitors and maintain market share. The strategy has worked, despite the absolute imperative of cloud to major enterprise players. Hewlett-Packard’s (NYSE:HPQ) decision, before spinning off its Enterprise (NYSE:HPE) unit, to get out of public cloud is just one decision among many. Yahoo’s inability to compete is due to its lack of other revenue with which to subsidize expansion. Other companies, while advertising cloud platforms heavily, have nevertheless kept their investment (and thus their potential market share) down. In order to report a profit Rackspace (NYSE:RAX), which pioneered the modern cloud movement as the original sponsor of OpenStack, cut way back on new capacity investment. Even today, no one in this market will tell you just how much of its cloud capacity is being occupied by customers at any one time. Load factors are a secret, and while the excuse is they’re constantly changing anyway, they could be estimated if providers wanted to do that. My guess, based on an unscientific survey, is that it’s in the single digits. Most of the time, less than 10% of cloud capacity is in use. So giving it away costs nearly nothing. The Microsoft move, first announced by President Brad Smith and CEO Satya Nadella, is to donate capacity over 3 years to a list of 70,000 non-profits, including 900 university researchers, through Microsoft Philanthropies. This will include not just the Azure cloud, but Microsoft’s CRM program and its Microsoft Office suite, meaning a lot of people are going to go out into the world dependent upon, and knowledgeable about, Microsoft’s software offerings. Microsoft reports earnings next Thursday, and analysts are expecting earnings of 71 cents per share on revenues of $25.22 billion, although there’s a whisper number of 75 cents. The stock has held up fairly well during the January market frost, down just 8.5%, and despite the fall its price/earnings multiple remains a robust 34. Whether it continues to gain this year depends heavily on whether Nadella can get hardware sales up, like the Surface Pro and Lumia Phone, while continuing to keep traffic moving through Azure with moves like the donation and yet-another recent price cut. The key to continuing to hold the stock is recognizing that the Microsoft cloud is a successful loss-leader for software and services, a defensive move in a glutted market. PS4 will continue to drive Sony earnings. Virtual reality is a potential strong force for future earnings. Host of new products coming off the pipeline. PS Vue set to become very earnings accretive for Sony. My article in November outlined what I saw as a moderate bull case for Sony (NYSE:SNE). At that time the share price was US$28.45. At the time of writing now the price is at US$22.21. The 52-week range is between US$20.34 and US$37.95. The price fall is not because of any recent bad news about Sony. Indeed to the contrary, as I outline below, it is because of the general market sell-off. In fact Sony has had good news to announce recently. This makes Sony now a strong bull case. Other divisions have returned to profitability with the exception of the strategically held mobile phone unit and perhaps the audio and TV division. Since then, more good news has filtered in for the company. Both hardware and software for PS4 is driving the Games & Network Services division. PS4 out-sold Xbox One in every month of 2015 except for April and October, including of course the big-selling months of November and December. About 36 million PS4s have now been sold, with approximately 6.4 million during the just gone holiday season. This figure of 6.4 million compares to 4.1 million for the 2014 holiday season. This represents up to a 100% quantitative advantage over Xbox. PlayStation Plus subscriptions increased 60% year-on-year. New software titles for Sony will continue to boost the division in 2016. These titles include “Street Fighter V,” “Uncharted 4: A Thief’s End” and “Tekken 7.” Sales in the recently opened up China market will also show strong growth in 2016. The share price of GameStop (NYSE:GME) fell sharply after they announced a decline in software sales over the holiday period, but in fact their figures were good for Sony. First they showed that gamers still want to buy consoles rather than just use mobile gaming platforms. Secondly they showed a continued decline for Nintendo, which is good for Sony. Thirdly they showed that software sales for PS4 consoles are booming. On the back of the PS4, Sony’s PS Vue TV service is off to a bright start. This has been boosted by their getting access to ESPN and ABC channels from Disney (NYSE:DIS). It has been variously reported that they are partnering with Amazon (NASDAQ:AMZN) and Google (NASDAQ:GOOG) (NASDAQ:GOOGL) for this service. They are up against the “Sling TV” service from DISH Network Corp (NASDAQ:DISH) but have the advantage of the huge installed PS base. Apple (NASDAQ:AAPL) has been much mooted as a competitor in this field but is having problems getting a competitive offering off the ground. The PS Vue TV service looks well placed to thrive on the back of the cord-cutting trend. It is forecast by the company to hit over 1 million users within three years. 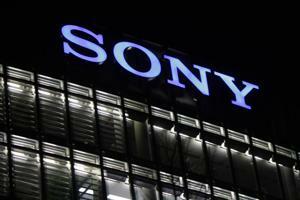 One negative on the Sony share price has been investors’ worries about what might be the “next big thing” for the company. December saw the announcement of “PlayStation VR” to be available on a so-far unspecified date this year. One major differential for Sony’s product compared to its rivals is the fact that images can be seen by both the VR wearer and on a screen for those not wearing the head-sets. 2016 is likely to see a head-to-head confrontation in this growing VR market between Sony and Facebook (NASDAQ:FB) which has its Oculus Rift offering. Sony’s product is expected to be priced quite a bit lower than that of Facebook. Unlike Facebook’s product it will be limited to one hardware source, the PS console, but that has advantages as well as disadvantages for Sony. Certainly it’s likely to be seen by the huge number of PS4 players (over 30 million and counting) as a “cool” device. The total potential for this market was put by tech consultancy Digi-Capital at US$120 billion by 2020. These sort of market potential figures should always be taken with a pinch of salt and that figure seems somewhat over-inflated. However, the potential is undoubtedly there. A high definition handycam camcorder. PS-HX500, a turntable for vinyl records, one that can digitize records as well as play them. New line of Walkman music players. New lines of portable wireless music speakers, wireless headphones, new lighting technology for “Bravia” HDR televisions, LED bulb speakers and new cameras. Sony has additionally brought out its new range of Xperia Z5 mobile phones. As with previous Xperia models, these have earned excellent reviews. Technologically they are in advance of their competitors. The 4K screen display, the 23MP camera, the microSD card for expanding storage and the waterproof design should all be great sales advantages. However Sony seems stuck in an approximately 2% market share at the top end of a market in which branding and fashion are more important than real features. The line-up at the CES conference though certainly showed that the spirit of technological innovation at Sony is far from dead. Based around their “seed acceleration program” the company is looking at many new concepts, including drones and electric cars. Sony is well-diversified both geographically and in terms of products, as I detailed in my November article. Imaging, movies and insurance should all be very earnings-accretive in the coming years. Effect of global economic malaise on consumer spending. Direction of Japanese yen against US dollar (27% of sales are in Japan). The PE ratio of Sony may seem high at 30.42, but this is only because the company has only recently become profitable after its successful restructuring. The P/S (price to sales) ratio is at 0.37 which would tend to indicate a company in a recovery situation. The P/BV (price to book value) ratio is at a favorable 4.37. Sony has historically paid dividends and this is expected to be re-instated fully in 2016. The only division left which is likely to be revenue negative in 2016 is its phone division, which CEO Kazuo Hirai seems to have decided to keep for strategic reasons. The company has made very bullish forecasts on profitability for the coming years as divisions return to profitability and corporate restructuring charges move into the past. Depending upon how they feel about the timing of the general market sell-off, investors should jump in to Sony shares as the opportunity arises. The above article originally appeared on Seeking Alpha, written by Nick Cox. With the full four-day weekend calculated, raunchy comic-book film Deadpool (FOX +3.2%, FOXA +2.8%) has smashed records with a $150M opening, validating lengthy efforts by star Ryan Reynolds to get the movie made. The film’s President’s Day weekend well outpaced forecasts and smashes a record set just last year by Fifty Shades of Grey ($93M). The three-day total of $132.8M was Fox’s best opening ever, and it marked the best opening weekend for any R-rated film. It was also the second-best opening for an original Marvel property. With $132.1M internationally over the three days, that brings the film’s first global take to $264.8M. Two other newcomers disappointed slightly or more than slightly, respectively: How to Be Single (TWX distributing) drew $20.6M over the four days, while Zoolander 2 (VIA +5.3%, VIAB +5.6%) drew just $16M over the same period, missing out on a youth demographic. An image has appeared online that claims to be of the upcoming Nintendo NX controller. The picture of the controller was posted on Reddit, though Dual Pixels is claiming that is has an exclusive source too. The controller will apparently feature an embedded screen, but won’t have physical buttons. Nintendo may announce the NX console in the coming months, and it’s thought that it could be out as early as this holiday season. The Dow shed another 365 points on Wednesday – for a more than 2% fall. “Stocks take a beating as alarm grows,” announced a Wall Street Journal headline. Between just two companies – Amazon and Google (now called Alphabet) – $100 billion of fantasy capital has been lost since the beginning of the year. Fifteen years ago, we tagged Amazon as the “river of no returns.” Since then, the share price has soared. The company has flourished… and we have looked like an idiot. Every AMZN bear has been made to look like an idiot – but that may soon change. As David Stockman recently pointed out, those who actually take the time to properly analyze its slippery accounting and business model (not the dead fish employed by the sell-side, obviously) cannot help but conclude that it is a giant Ponzi scheme – and the danger that this realization will penetrate the “market mind” is increasing. It remains a “river of no returns” – although consumers have every reason to love it. Investors buying it today pay 830 times net earnings for the stock – and said net earnings actually look somewhat dubious upon closer inspection – click to enlarge. On paper, the company is worth a fortune. CEO Jeff Bezos has shown the world what a genius he is. He has constantly reinvested Amazon’s cash flow to gain market share and garner headlines. But wait… The bankruptcy courts are full of geniuses. And being able to sell the public your story is not the same as being able to sell a product at a profit and return earnings to the shareholders. Despite all the water under the bridge, as near as we can tell, Amazon is still the river of no returns. In a bull market, investors are content with hope, hype and earnings tomorrow. They are patient and don’t ask too many questions. But in bear market, hope goes into hiding, patience fades… and the question marks come out in the open. “Where’s the money?” they ask. Investors want cash in hand, now. They want dividends. They want protection from tides and full disclosure of the risks. Even after a 16% haircut over the last two and a half weeks, Amazon is still trading at over 830 times net income. And this is no “latest technology” play headed by a tech wizard. Jeff Bezos only had limited exposure to tech before founding Amazon. And he has no real background in retailing either. He is a Wall Street man. And Amazon is no technology play. It’s a financial play. Bezos worked for banks, investments firms, and hedge funds before launching into e-commerce. He started Amazon in 1994. The company was founded on technology and market conditions as they existed back then. The old river has been silting up ever since. Jeff Bezos is indeed a genius. He runs a company that has produced practically no earnings over its entire lifetime (on the basis of sound accounting principles, that is). And yet, he himself is nowadays worth well north of $50 billion. Let’s see… Amazon says it made $328 million last year. It’s valued in the stock market at $495 billion. The stock sold for $581 on Wednesday. Hmmm… As a mature company, it should be valued at about 15 times earnings. Since Bezos is such a genius, we’ll stretch and give him a price-to-earnings ratio of 20. That makes the company worth about $6.5 billion and gives us a target price per share of about $14. About 10 years ago, we guessed that Amazon was a “decent $10 stock.” The numbers say we were just about right. But it all depends on where you are when you find out. If you are comfortably in gold, cash, and real estate, you can look on Wall Street’s decline like a neighbor watching a police raid on a noisy party. But if your portfolio is full of Amazon shares, we advise you to duck out the back door. A little reminder from the not-too-distant past: the technology bubble of the late 90s. This shows the Nasdaq Composite and the SOX (semiconductor index) from 1997 to 2002. Eventually, the entire bubble gain was wiped out. We still remember debating true believers right near the top in early 2000. Nearly all of them thought prices would keep rising, even when confronted with what were by then almost impossible to refute arguments. It was clear that the growth rates reported by tech companies at the time could not possibly continue – it was simply a mathematical impossibility – click to enlarge. December marked a strong month for new videogames, though the sum was down slightly Y/Y likely due to drag from older-generation consoles. New games at retail sold at the pace of $3.22B, NPD Group reports, down from 2014’s $3.26B. Hardware and software were down, though accessory sales rose 10%. A 4% increase in spending on newest-generation PlayStation 4, Xbox One and Wii U was offset by a 71% drop in PlayStation 3, Xbox 360 and Wii hardware. Overall, hardware sales fell 6% Y/Y. Unsurprisingly, December was the best month on record for software for the newest consoles. In U.S. new physical software: December is usually Call of Duty month and this one was no exception, as Call of Duty: Black Ops 3 (ATVI +1.6%) won the period, followed by Star Wars: Battlefront (EA +1.7%) and Fallout 4 (Bethesda Softworks). With holiday gifting, the rest of the chart was full of familiar names: Take-Two’s (TTWO +0.6%) Grand Theft Auto V, sports games from EA and Take-Two, and Minecraft (MSFT +2.9%). As usual, Sony’s (SNE -0.8%) PS4 was the top-selling console. It beat the Xbox One and Wii U (OTCPK:NTDOY -0.7%) in sales in every month except April and October, and it claimed the crown in the two best-selling months of the year (November and December). Sony says it’s nearing 36M PS4s sold overall, after 6.4M-plus from this holiday season.